Modification of terms to reflect changes of circumstance can significantly change the impact of a child support order. 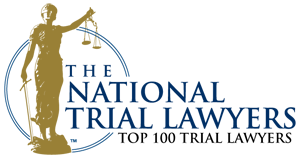 The family law attorneys at Wirth Law Office provide up-to-date expertise for parents seeking modification of child support orders. Parents seek an Oklahoma child support modification for many reasons, including changes in their financial circumstances, changes to a non-custodial parent’s financial position and changes in the law. 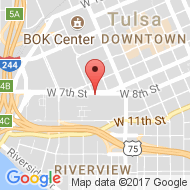 Our knowledge of Oklahoma child support laws and our experience in Tulsa family courts can provide you the confidence that your motion to modify is reasonable and defensible. 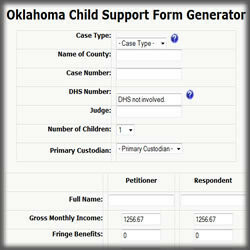 We’ve also developed an online child-support calculator for those who need to determine child support obligations under the latest law, which we provided to the public at an online Oklahoma law wiki. Contact a Tulsa modification attorney at the Wirth Law Office today for a free consultation to find out if you would benefit from a motion to modify child support. Call (918) 879-1681. Oklahoma child support law changed significantly in 2009. The changes don’t automatically entitle parents to modification of child support orders. Even if parents attempt to file a motion to modify based on changes in the law, they’ll need to demonstrate a change of conditions other than changes in the law to justify a modification. The modification must be in the best interests of the child or children. If a motions to modify child support meets that burden of proof, new child support amounts will be based on the new law. Esquire Empire – a legal wiki about Oklahoma law – provides details about Oklahoma child support law, including 9 things you need to know about 2009 changes that could alter the amount of child support you must pay or be paid if a child support order is modified. Oklahoma child support orders may be modified if a change in the income of one or both parents would result in at least a 20 percent change in a child support obligation according to current child support guidelines. That change can result from changes in either parents income, court-ordered changes in custody, changes in medical or daycare costs, the permanent medical disability of either parent, or changes that mean the child is no longer entitled to child support. 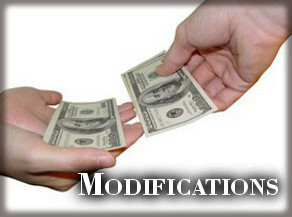 Modifications can result in either an increase or a decrease in child support. Parents who are owed or who owe child support in Oklahoma may represent themselves in child support modifications. Oklahoma Child Support Services offers a pro se packet that can be downloaded from the Department of Human Services Web site. The state does not provide an attorney for those who represent themselves in child support modifications. Nor does the agency address other matters beyond child support such as revisiting paternity determination, custody or visitation orders. And the motion for modification must ultimately be approved by a judge if it is to take effect. Because of the narrow focus of state agencies, and because they don’t represent a parent’s individual interest in their child’s future or in the parent’s financial health, many parents seeking a child support modification retain a child support attorney. If you would like a free consultation with an Tulsa modification attorney, call the Wirth Law Office at (918) 879-1681 (or toll free at (888) Wirth-Law) or submit the question form at the top right of this page.